Iao Valley State Park, Maui: Vacation Tips You Won't Want to Miss! 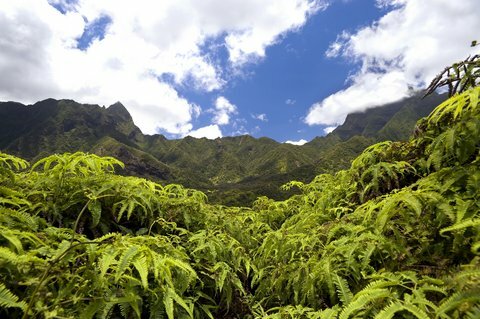 The best time to go to Iao Valley State Park depends on a few factors. If you're looking for the very best view of the Iao Needle, then you're better off going to the park in the morning, as the Iao Needle is less likely to be cloud covered at this time. On the other hand, if you're looking for something to do outdoors that will give you a break from the hot afternoon sun, then I highly recommend you head for the park in the afternoon. Temperatures in the park are a lot cooler compared to the sea level resort areas of Maui. We chose to hit Iao Valley State Park in the afternoon, and it was exactly what we needed: outdoors AND cooler temperatures! Plus, this leaves your morning free for a leisurely breakfast, and maybe even lounging on the beach before it gets too hot! How NOT to Become the Main Meal of a Mosquito! Unlike the coastal resort areas of Maui, you'll probably run into a few mosquitoes as you wander around the valley. We suggest you bring along some mosquito repellant to keep those biting insects away! I've found repellants containing DEET to be the most effective. Don't let rain catch you by surprise! This valley is one of the wettest spots in the entire State of Hawaii! So, when you go, be sure to bring along some raingear. If you plan on hiking the rainforest trails via the Hawaii Nature Center like we did, I'd suggest a raincoat rather than an umbrella for sure. There are parts of the trail where carrying around an open umbrella is just not practical. For the Iao Valley State Park Maui Botanical Gardens, I'd suggest a raincoat as well - most of the pathways are wide enough to accommodate umbrellas, but some of the stairways might be too narrow for those, especially if you need to squeeze past other visitors. On the other hand, if you plan on something like a stroll through the "The Tropical Gardens of Maui" Botanical Gardens, an umbrella would work just fine since their walkways are all quite wide. If you find yourself hungry and didn't bring along any food of your own, I'd suggest you check out the Nature Cafe at the Hawaii Nature Center. We stopped by there for a quick lunch on our visit to the valley, and found it to be quite satisfactory! Starting from Wailuku, take Highway 32 (a.k.a. Kaahumanu Ave.) west out of town. This road will turn into Iao Valley Road (320), which you will follow all the way into the park. How do you get to Wailuku? If you're coming from the Kaanapali area, take highway 30 to Wailuku, then follow the above directions. If you're coming from the Kihei or Wailea resort areas, take highway 31 through Maalaea, until you reach highway 30. Then follow highway 30 north to Wailuku. After that, the above directions from Wailuku will take you straight to Iao Valley State Park. 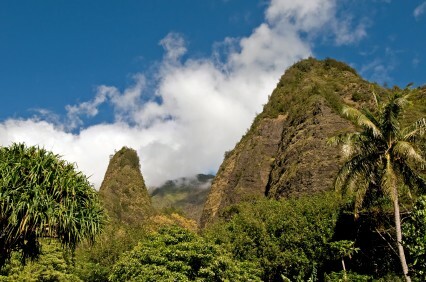 1) Read all about things to see and do at Iao Valley's Hawaii Nature Center. 3) "The Tropical Gardens of Maui" Botanical Gardens makes for a great stop on your way to the park... not only is it absolutely gorgeous, but it's inexpensive as well! 4) Get some great ideas for fun things to do on Maui to relax!